Island Cove Hotel and Leisure Park is known to be the most sought resort in the province of Cavite. The company has provided leisure, relaxation and amazing dining experience to the Filipinos in the past 20 years. As the company grows, new business developments are realized. Since Island Cove is known for its events and functions, the company has opened its first ever food service solutions called Island Cove Food Services, Inc. (ICFS). ICFS provides catering service solutions for socials and corporate events held outside the resort, volume food preparation and delivery, pre cooked/ portioned food supplies and healthy meal plans. Island Cove has seen the potential of sharing its expertise in the field of Hospitality Management to individuals who wish to polish their craft. 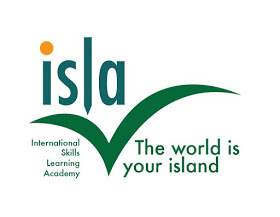 Because of this, the company has decided to open its first learning institution – the International Skills Learning Academy or ISLA. ISLA offers TESDA courses (such as Housekeeping) and lifestyle courses such as Kiddie Cooking Class, Baking Class and Events Management. ISLA also offers FoodSHAP Food Safety courses. Completers of the course will be accredited as licensed food handlers by the Department of Health. Island Cove is also very much excited to address the laundry service needs of the nearby hotels and accommodations as it offers its own Laundry Service. The Island Cove Laundry Service offers state of the art industrial sized washers, ironers and dryers that are managed by experts in the field of Housekeeping and Laundry Service.